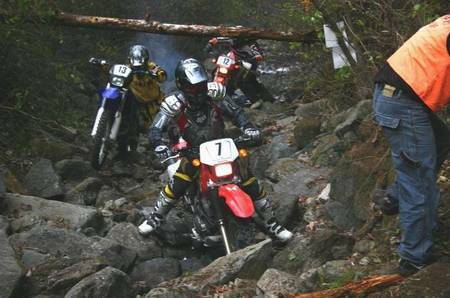 Korea Hosts Asian Enduro for the First Time! 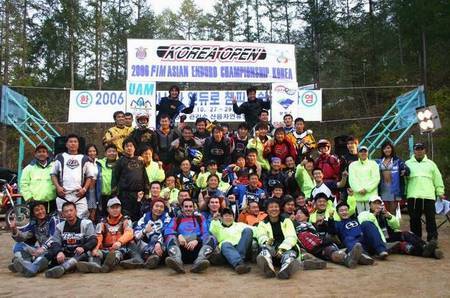 Second round of FIM International Asia Enduro 2006 series has been held as Korean Open 2006 in closed layout track and variety of conditions that layout surrounding country side of scenic resort location, Yangpyeong which located 60 Km northeast of capital city Seoul, Korea. Paris-Dakar veteran and versatile racer from Japan , Yoshio Ikemachi snatched an overall victory over Korean counterpart, Lim. Ho Jeong with margin of three minutes. 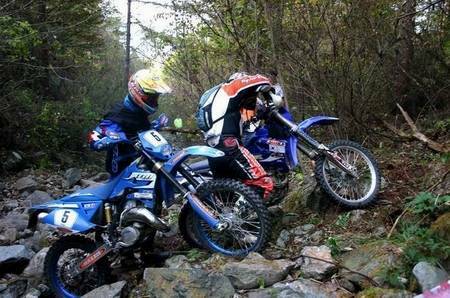 Two day competition has covered rugged rock section, water creak, loose gravels, and fast riding closed section for total of 290Km of distance, that field filled by sixty four starters. Along with massive domestic contenders, some foreign riders were represented by American & Japanese riders for their quest. 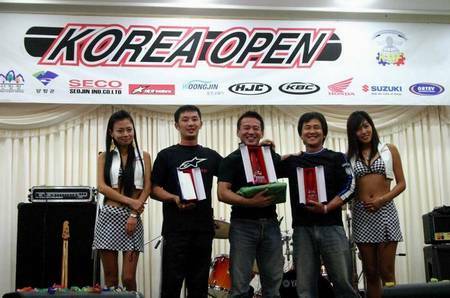 FIM UAM Enduro Commision President, Macky Carapiet, congratulated the organizers for a event well run and has scheduled the September 2007 racing season to return to Korea once again. Organizing of competition was superb control which was local official, including police escorting, tight security, accurate time scoring, well designed route, standing by medical attendance, colorful folklore opening and award ceremonies, all of details were executed perfectly in its order. Job well done for hosting organizer, this is their first event under a banner of FIM - UAM - KMFsanctioned international race in Korea . And best of all, there is no serious accident throughout both days. Race was controled by two riders in their league, Husqvarna TE450 mounted by Ikemachi from Japan and Korean ace Jeong has shared two top times each for SS. Deciding factor was slippery wet section creak run which was favor for Ikemachi. He edged by two minutes over rival on single stage that spoke experienced driving in Paris-Dakar race brought him home safe. On the other hand, secured second place finish has crowned Jeong for serious champion of UAM Open class. Congratulations for both. Entries for premier class of UAM had thirteen riders for open, four for light and more friendly Asia class by twenty seven open riders and twenty light riders. Comments were picked up everywhere that all enjoyed very energetically organized event, colorful and animated worked out event in prudent ideas every corners. Riders from aboard says, “Beautiful mountain riding for motorcycles are simply fantastic! Popular demand by foreign interests of this event in future that they like to know more promotional exposures outside of Korea in advance time that will draw more attentions and riders too.